I'm falling behind on my blogging. Still lots left to do, I'm having fun though. and I did something I've never done before. I'll show you more after she receives it. And, right now, I'm working on this. I'll show you more when it's finished. 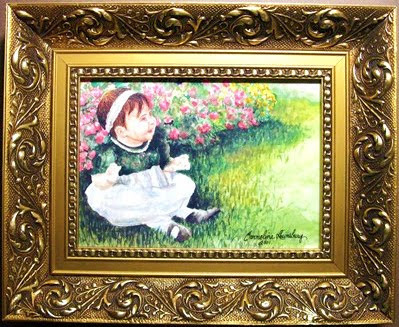 a framed print of one of her beautiful paintings! a big one, I've started a second blog just for it. There is a link on my right sidebar. You can check out my squares there. Do something beautiful and creative today. I am going to pop right over and see you new stichery project....you are busy! I hope your studio is coming along too...maybe you will win! aggggghhh, the pressure of cleaning!!! you sure sound like you've been busy, but with fun work...anything that involves the studio, even if it is cleaning, is FUN work! right! thanks for posting about the giveaway!!!! here's hoping! yikes! 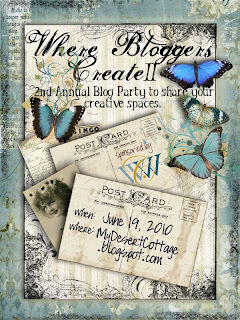 miss a day of blogging (or 2) and you miss a lot. thank you for filling me in. You sure have been busy. Looking forward to the secrets being revealed! Thanks for the heads up about your new project and Carmelina's giveaway. Your new art looks fab so far. Can't wait to see what it is you are creating. 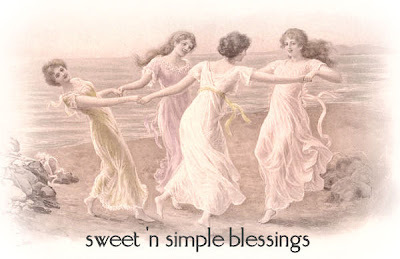 thank you for the sweet comment on my garden...these pictures are the garden in front of my picket fence. 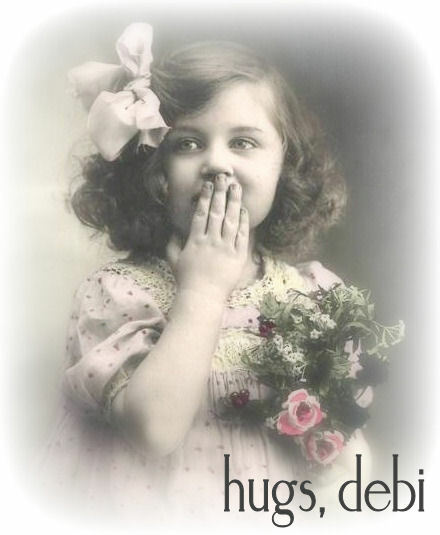 I always enjoy my visits to your blog Debi! Such beauty!! 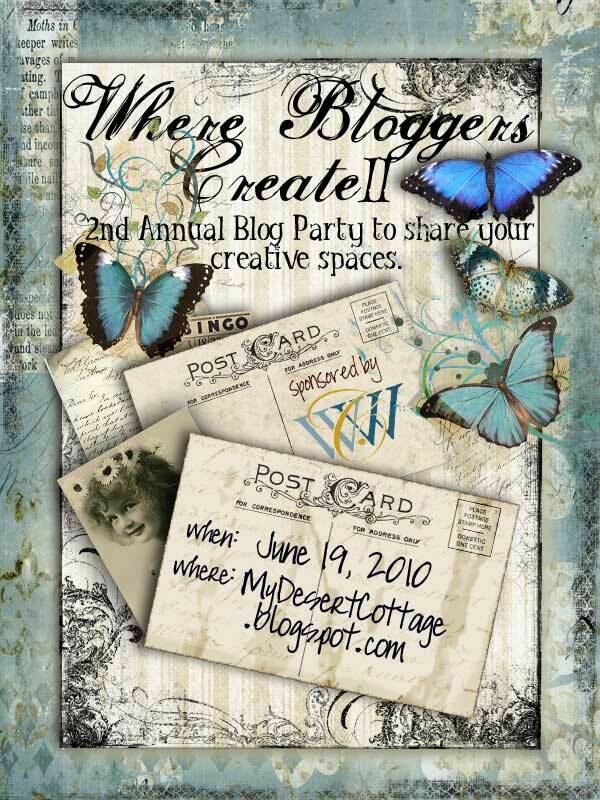 I can't wait for the where bloggers create blog party too!Happy you'll be joing what we create blog party! It should be fun! Thank you for your kind words today. I love your creations and will be back to visit your beautiful blogs.